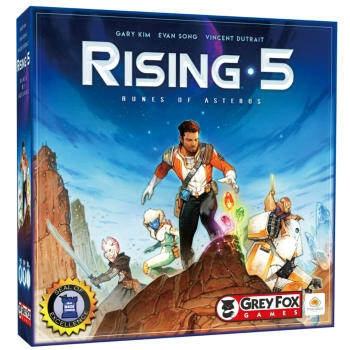 In this 1 - 5 player adventure by Gary Kim and Evan Song, you play the Rising 5; a talented, colourful and especially deniable group of agents sent to investigate the nefarious events occurring on the far flung world of Asteros. 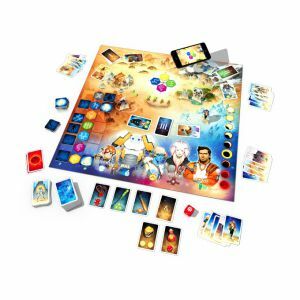 With the rich and colourful universe brought to life by Vincent Dutrait laid before you, you'll use a simple action card system to control our heroes and explore the world. 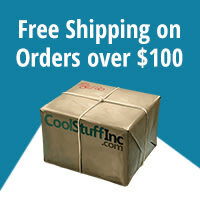 As you do so, you'll uncover its secrets helping you to decipher the ancient runes that will allow you to seal The Gate.